It's just a simple drag and drop tool where you can experiment with different layouts, images, colors, themes, etc. If they want me to sign up before I can even see the tool, I'm not using it. OK so I thought I'd just have a look, went to sign in via google and it reckons my email address doesn't exist, what the? I hope I don't live to regret this. Your graphics website is very slow in Firefox, while moving the cursor it hangs. 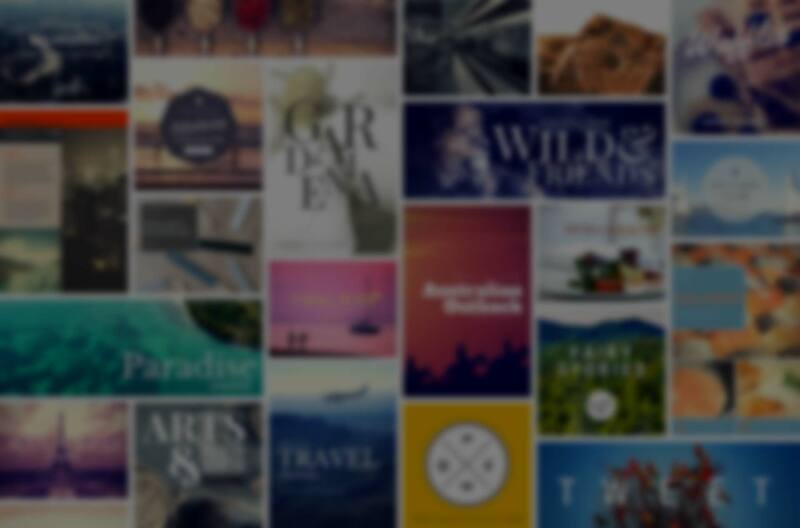 I like canva. But the effects and colors can't be change at some design though. It either change the color and lose its effects or retain the original and get the effects. I hope the editing can be advance soon. For sure many will love that more. I'm usually really against this sort of thing. But its nice, simple, follows modern trends and covers alot of popular materials. As much as I wouldnt use it myself, its great for those unfamiliar with the professional design packages. Nice find. Does anyone know how Canva.com achieved the effect on the home page? There is a sign up dialog, but behind that is a blurred background and when I move the mouse, the trails make the background area clear. This is the background itself. The signup dialog is just an absolutely positioned form on top of the background. I'm not sure what you mean about the trails, though.